WHO YOU ARE DEALING WITH! Acco Inc stepped up to the plate, contracted with academic institutions having specialized acoustic researchers, and created material requirements & installation guidelines essentially defining the 'best practices' of the day. This effort culminated in strategies to maximize sound reflection, control of reverberation, and damping of white noise in large venues. Consequently, Acco Inc has penetrated this new market niche, and become a leading player in providing customized sound solutions for a wide variety of many satisfied customers. A sample of our client list includes: 'Famous Players Theatres' with over 50 installations in Canada (Viacom USA), the 'Quebec Government' for specialized meeting & conference rooms, the 'Montreal Police headquarters' for custom sound rooms, and many others. The combined experience of the company president Mr.Francois Brisebois, and, account manager Mr.Yves Boudreau exceeds 2 decades of solid relationships with our corporate customers. 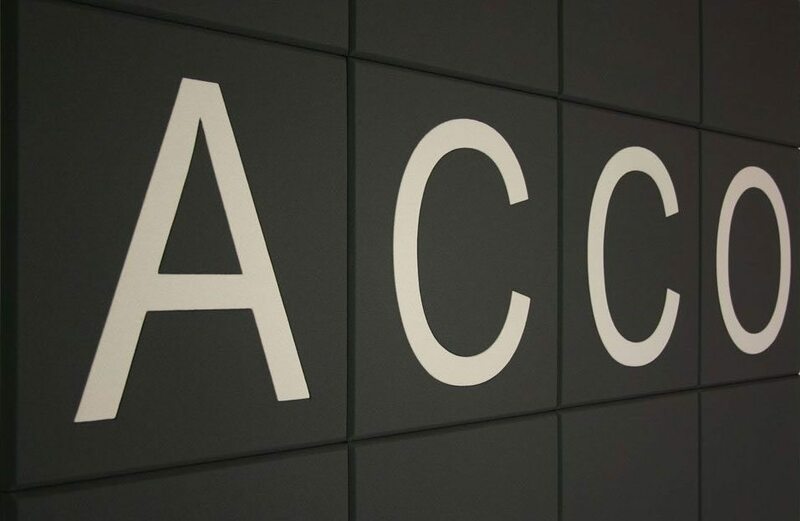 The willingness to meet just about any client requirement, have positioned Acco Inc as a leader in the field of providing sound control solutions. Our executive is flexible to your needs, and our product line undergoes continuous improvement to satisfy all audio tastes for large and small environments. Today, we continue the provide the best audio control experience in the North American marketplace and are currently aggressively pursuing overseas opportunities.